If you’ve read anything on the do’s and don’ts in job interviews, you know that starting, or even ending the interview for that matter, with the question, “How much will I get paid?” does not reflect well on you with potential employers. However, there is an appropriate time for when to negotiate salary and there is an appropriate way to broach the subject. It all comes down to knowing the right questions to ask and understanding the intent behind asking them. The next time you find yourself negotiating salary, consider the following scenarios and questions. Interviewer: Well we’d like to thank you for coming in today. 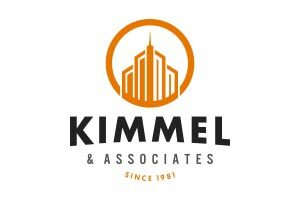 We really like what we’ve seen and heard from you the last few times we’ve talked and we are very optimistic about your potential with this company moving forward. Question #1: Can I consider this an official job offer? When it comes to actually offering a job, employers can be vague at best. They may have a couple of potential employees on the line and they are reluctant to actually offer the job because of uncertainty as to whom they actually want to end up employed with their company. Don’t let them play the game with you. The first step of negotiating salary is asking if you actually have the job, and don’t be shy about it. If they are not in a position to actually offer you the job just yet, you can at least nail them down to a timeline for decision-making. Before you can ask about money, you must secure the job. Question #2: Is that salary negotiable at all? Is that number you gave me base pay only? It’s a good idea to understand what the number the interviewer is giving you includes. And once a number is on the table, its completely within your right and totally acceptable to ask questions to help you understand what the number means. For example, asking if the salary is negotiable lets you know how much wiggle room the employer actually has. If they like you, and are able to, you may be able to discuss a few minutes and move the number a little higher north. If they are not able to offer more for that position, it may be a great time to ask about advancement opportunities to higher paying positions in the future. Asking about bonus and stock options, if you’re interested. You’ll never know if they exist if you don’t ask about them, so don’t be shy when negotiating salary to ask them to break down exactly what the number they’ve said equates to. Interviewer: Thanks for taking the time to meet with us today, we are excited you’ll be joining us soon. We’ve already discussed the salary, but we wanted to make sure you knew that there are benefit options once you start. You will receive a packet of information from our HR department. Question #3: Do you mind if we take a few minutes to discuss the benefits package right now? 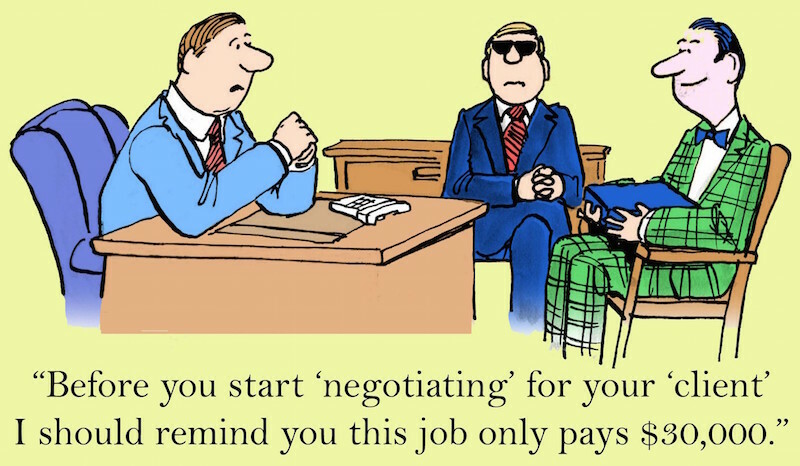 Negotiating salary also includes fully understanding what benefits are available to you with the company. Many employers will want to defer this issue to the HR department or person in charge of benefits, but its ok to ask for a better understanding of what the benefits are before you ever accept the job. Waiting for your meeting with HR probably means you’ll have accepted the job already and won’t have many options should something come up and you don’t agree with the benefits. Once you open up a dialogue about benefits while negotiating salary, you’ll want to make sure you know when the benefits kick in. Whether you’re single or have a family, you’ll want to know what benefit options exist in the future if you add dependents on your plan. If vision or dental are important to you, make sure you ask what options exist with this coverage. If the interviewer is unable to answer all your questions, it is totally fine to say that you want to wait to give your answer until you better understand the benefits. When it comes to your health insurance, understanding is key. Interviewer: Great! We are sure you’ll be a great fit for our company and we’re confident you’ll enjoy working with us. We look forward to see you at 9:00 am on Monday morning! Question #4: Ok, great. When can I expect this offer in writing? You may not have thought about this, but unfortunately, not everyone is honest. Some interviewers may tell you what you want to hear when negotiating salary and then not remember it or back it up later. It is wise when negotiating salary to pin the employer down with a firm date for when you will get a contract in writing. Nothing is binding if not on paper, so do yourself a favor and wait to sign on the dotted line. Once you get that contract, read it thoroughly and then advocate for yourself if there is something missing from what was previously discussed. If the interviewer backs out of some of what they offered, you may want to really consider all of your options before moving forward with the company. Despite the cultural taboo that goes along with talking about money, there are tactful ways to begin negotiating salary. Remember that it is important to be your own advocate and that if you do it respectfully, employers will be willing to engage in discussions with you before you ever accept the job. Next time you step in to an interview, consider arming yourself with these four questions for salary negotiation, even if you don’t get to ask them until later. Look for the opening to jump in with your questions and things will be sure to go your way.